Bianca Mori’s first novella, One Night at the Palace Hotel, was published in 2014, and this was soon followed by Tame the Kitten. In Too Deep, published in 2015, marked the start of the Takedown trilogy, her first series. Now, over a year later, the final book, entitled Scorched Earth, has been released! Bianca Mori’s earlier published works are steamy, and with the trilogy, she blends that steam with action and suspense. A definite bonus are the varied locales she takes us to in the series! In this interview, we’ll find out more about the author, her inspiration for the Takedown books and characters and what she has planned for future releases! Bianca Mori is a writer, a wife, a mom and a career woman all in one. Read her blog on The Bianca Mori and follow her @thebiancamori. Hello, Bianca! First off, would you mind telling us a bit about yourself? I’ve been writing fiction since the early 2000s and switched to chick lit back when it first emerged around 2004. 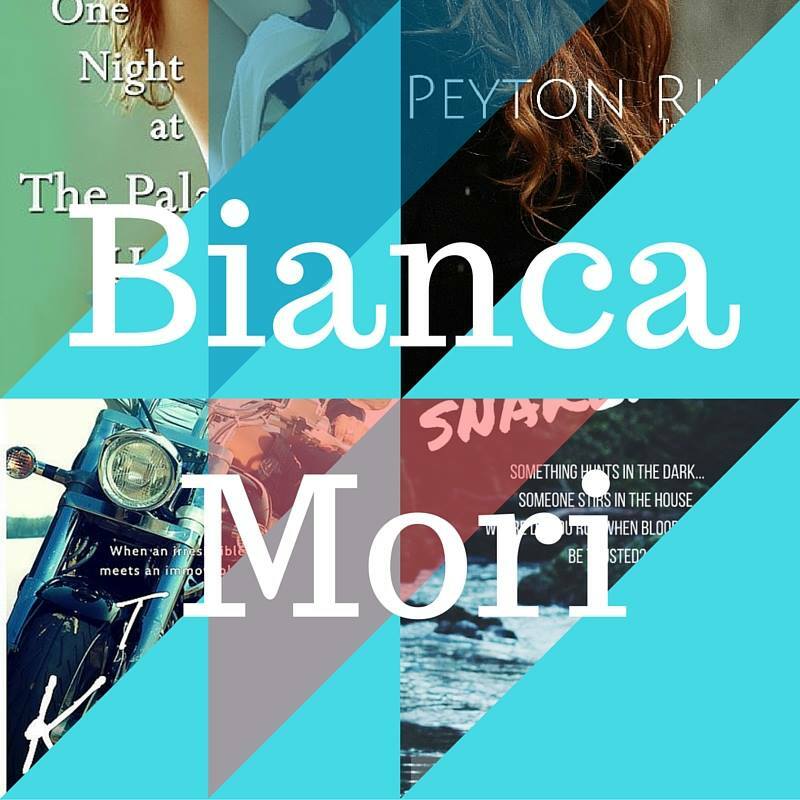 In 2013, I decided to try the steamy romance genre and the Bianca Mori pseudonym was born! My first steamy novella is One Night At The Palace Hotel, quickly followed by Tame The Kitten, published by Anvil under its Spark Books imprint, and now the Takedown trilogy. I’ve also recently diverged into straight crime fiction with Snakehead. When I’m not not-so-secretly writing steam and crime, I’m a wife, mom and a marketing lead for a multinational. I’m also trying to complete a New Adult novella to be published under my real name. But all these steamy plot bunnies keep diverting me! You saw this coming, but what motivates or inspires you to write? I’ve always been creative. From childhood I painted, drew and made up stories, and I still do that today. While I always have that urge to create, getting to the finish line is another story. And when I need to dig deep and write the last third of a story—it’s always, always the last third!—I find inspiration and motivation in my fellow Filipino writers. When I read the awesome things they come up with, that just pushes me to finish my story. Takedown trilogy is set in Amsterdam, and the imagery of the city in your novels is one of my favorite parts of it. What was it about the city that made you set it there? Have you ever been? I have a friend who writes an amazing blog, Currystrumpet.com, that will make you fall in love with Amsterdam and want to live there. The Amsterdam setting of Peyton Riley, book 2 of the Takedown trilogy, was inspired by her Dutch adventures. Book 3, Scorched Earth, moves the action to Barcelona and London. And no, I’ve never been to Europe, but seeing Amsterdam, Barcelona and London has always been on my bucket list! I was actually pretty surprised to see that your leads, Peyton and Carson, got pretty intimate a number of times! Did you plan to include those, or did they just happen as you wrote the book? Did you have any specific person in mind while writing Peyton Riley and Carson Varis? Dream cast, maybe? My sister is my beta reader and we go back and forth on this. For Peyton, I was thinking of Bella Thorne or a redhead Chloe Moretz. My sister suggested Rose Leslie, and damn, I think she’s right! For Carson, she suggested Tudors-era Henry Cavill (YES! ), but in my head I pictured a young Ioan Gruffud or Aaron Taylor Johnson. What would you say was the biggest challenge you had while writing the Takedown series? Keeping all the balls in the air. I’d planned all three books, knowing at which point I’d reveal what, etc. But before the reveal, it was important I’d plan some clues so that the reveal wouldn’t feel unearned. It’s something that felt like the more technical side of writing where the timing had to be right, avoid info-dumps, that kind of thing. So yeah, that was haaaaarrrd. The last book of your Takedown trilogy, Scorched Earth, was released last April! Congratulations! How do you feel now that your first series is finished? Relief! Hahaha! I’ve been working on the Takedown trilogy for more than two years, and it’s been taking up all of my fiction reserves. But it’s a book I wanted to read so writing it was a pleasure, too. Now I can go and finish my New Adult non-steamy college novella! Previously exclusively available on Amazon, the Takedown trilogy will now also be released in various ebook formats and platforms, including Apple, Barnes & Noble and Kobo starting August 21. American Gods by Neil Gaiman. I re-read this every two years or so and it feels like checking in with old friends each time. All the characters are so vivid and it’s such an awesome world. J.K. Rowling. I adored her Harry Potter novels, of course, but her Robert Galbraith books are just amazing as well. She’s such a great, imaginative writer that she can shift voices, genres and audiences and still be awesome. Any favorite reading/writing/art related quote?